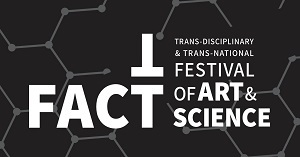 The conference is organized in collaboration with FACTT Mexico 2018 by Arte Institute and Cultivamos Cultura within Festival N by UNAM and Bioscenica. The festival opening is on November 10th at 12:00 with the inauguration of its exhibition Espacios de Especies at the Centro de Cultura Digital. The works presented in the Espacios de Especies exhibition question the categories of adaptation, variation and speciation based on the relationship of reciprocity between living organisms and the environment. These same themes are being debated in contemporary biology, which opposes the gencentric paradigm and opts for an epigenetic perspective. The causal reciprocity between organism(s) and environment(s) and the idea that the structural/functional details of the organism are not completely codified in the genome is explored from a point of view that considers space -understood in a broad sense- as a fundamental factor of interaction and continuous formation. The exhibition will take place at the Centro de Cultura Digital from the 10 of November to the 15 of February and is curated by Mariantonia González Valerio.